There are many information sources available to those wanting to start a lawn care business. Before taking the plunge and investing in your startup it is wise to spend at least a few months researching as much as possible about this industry and business in general. Below are some resources that you may find useful for finding information on starting a lawn mowing business. 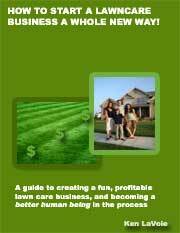 Many successful lawn care entrepreneurs have published books on the subject of setting up and running a profitable company. Online book retailers have numerous titles available and there are also some great lawn care business e-books and startup kits that can be purchased online. The advantage with e-books is that you can download them immediately after you purchase them. 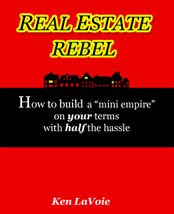 E-books often also come with additional resources such as standard letters and flyer templates. The Internet offers a large variety of forums or message boards related to lawn care. Some of them are based on the subject of lawn care in general and some are specifically targeted to lawn care business owners. The benefits of registering with one of these forums are that you can read a huge volume of posted information and network with other like-minded business people. You can also post queries that may be answered by some of the communities more knowledgeable members. Courses in lawn maintenance, landscaping and gardening are reasonably popular at night schools or community colleges. A course specifically related to starting a lawn care business would be hard to find but there are many business related courses that you could consider taking that teach you how to set up and run a small business. Find out where you can buy commercial lawn mowing equipment in your area and visit some of these stores. You will not only be able to learn something about the equipment that you will be using but you may also pick up information about the local industry by chatting with the owner or sales staff. 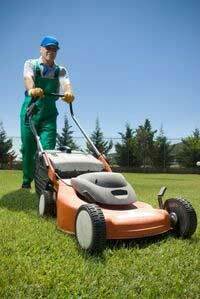 Consider starting out by working for a well established lawn care company before setting up on your own. By working with a professional for six months or so you can learn all aspects of the business. They may even help to guide you into your own business when you are ready. Approach some successful lawn care business owners and ask them if they would be prepared to help guide you to success. Ask them if they have any work that you could do for them to return the favor. This can only really work if you find a mentor in another city or state as they won't be interested in helping you if will eventually be competing against them. Being fully informed about the industry before you enter it will ensure that you plan your course for success and start off in the right direction. Getting up to date information on starting a lawn business can also help you to avoid some of the common mistakes that business owners in this industry often make.